Bitvo is a new cryptocurrency exchange that has just opened their order books to the public. They are trying to address numerous bottlenecks that are faced by traders in Canada. Bitvo have launched their services with some really exciting product offerings that they hope could differentiate them. These include things like the same day guarantee, a visa debit card and an advanced trading platform. But are they safe and can they really compete? In this Bitvo review, we will take an in-depth look at the exchange. We will give you everything that you need to know from their security protocols to customer service and trading fees. Bitvo is a Canadian cryptocurrency exchange that is based in Calgary, Alberta. They are located on 500 4 Ave SW Suite 2500, Calgary, AB T2P 2V6. It was founded in early 2018 and progressed to a soft launch a few months later. In August of the same year, they opened their books to the public. The company was founded by a group of ex financial service professionals. These individuals have experience in Banking, Trading, Payment Processing and Risk Management. They also have an advisory board which brings significant Canadian banking experience. Given the team’s background and their connections with these banks, it is no wonder that Bitvo is so confident of their ability to service clients quickly. Let us take a look at one of the main selling points of the Bitvo exchange, their “same day guarantee”. The Canadian cryptocurrency ecosystem is quite a weird one. While the government is more open to crypto exchanges and start-ups, the banking sector has made it quite tough for these types of businesses. For example, there is the well known case of QuadrigaCX that has taken the CIBC bank to court on account of the bank freezing them out of C$28m that was held by their payment processor. This has also severely impacted traders and withdrawals have been delayed. It is with this uncertain backdrop that Bitvo has launched their same day guarantee service. They are so certain of their connections with payment processors, banks and other verification services that they feel confident making this commitment. Bitvo is promising to register your account immediately upon signing up and to process withdrawals and deposits on the same day that they are received. This is quite impressive as no other exchanges that we have covered recently have made such a commitment. Of course, there are always disclaimers to these sorts of agreements. For example, if your information is inaccurate or if additional KYC needs to be done then this could slow the process. You can read all of the T&Cs of the agreement here. Something that is on the mind of most cryptocurrency traders is the risk posed by centralised exchange hacks. There is a long list of exchanges that have fallen victim to dangerous wallet and data breaches. Given that Bitvo is still a new exchange, we can’t look at a security track record per se. However, they have properly laid out their security protocols and procedures on their security page. Bitvo makes use of extensive cold storage for the majority of their cryptocurrency assets. Cold storage are coins that are stored in an air-gapped environment and are not connected to the internet. This means that they are not accessible by external actors such as hackers. In order to facilitate the transfer of coins to the traders on the exchange, Bitvo will move only a minimal portion of these coins into their “hot wallets”. These are wallets that are on their servers and are hence less secure than the cold version. Bitvo also states that they conduct regular security audits and have a multilayered firewall infrastructure which can help protect their backend systems from any sort of penetration. They also have a range of other standard procedures like limiting login attempts etc. As is standard these days, Bitvo has full SSL encryption with user connections. This means that all information that you send through their website is fully encrypted and is able to protect you against man-in-the-middle attacks. It is also beneficial for the purpose of identifying phishing sites. You will know when you are on the official Bitvo website when you see the SSL padlock in your browser. If this is not visible it means that you are on a phishing site and should leave immediately. This is one of the primary ways in which hackers are able to access your login information and steal your coins. There are also a number of tools that Bitvo gives their users in order to protect them against unauthorized access to their account. For example, they have two factor authentication which you can set up with Google authenticator. This has the benefit of being one extra layer of security. If someone is able to get access to your email account then they can easily change your password and log into your Bitvo account. With 2FA, they will need access to your phone as well. It is important to note that unlike other exchanges, this is not enabled by default when you set up your account. Hence, you will probably want to do it the moment you create your account so that there is no chance of a breach later on. Something that really caught our eye was the Bitvo cash card. This is a Visa debit card that Bitvo is offering to its users which will enable them to spend from their fiat balance. This is quite an interesting proposal given the difficulty in getting crypto affiliated cards to the market. To our knowledge, there are no exchanges which offer their traders a similar product. The Bitvo Cash Card will give you immediate access to the cash in your fiat wallet and you can spend it anywhere that accepts Visa. You can also use it at a network of over 2 million ATMs in over 200 countries. In order to use the Bitvo card all you will need to do is sell your Crypto (thereby topping up your fiat wallet) and then swiping like you would any other card. So, the process is just as simple as sending funds from a savings account to a checking account at your bank. When it comes to trading fees on the exchange, Bitvo has chosen to go with a simple flat rate of 0.25%. This means that irrespective of volume or “maker / taker” status, you will be charged 0.25% on the trade. This is about half of the fees charged by QuadrigaCX but slightly higher than the fees at Coinsquare. Admittedly, Coinsquare does make use of the maker-taker fee dynamic on their exchange. Their quick trade fees are higher than those of Bitvo though. There are no deposit fees that are charged on Bitvo’s end when you are making a fiat deposit. If you are sending crypto to the exchange then you may have to pay a small network or miner fee to the process the transaction. When withdrawing your funds, you are charged a 1% fee on all withdrawals. This includes fiat and cryptocurrency withdrawals. Standardized crypto withdrawal fees are not common at exchanges as they are usually tied to the applicable network fees. This might be slightly higher than typical network transaction fees. If you wanted to make use of the Bitvo cash card, then you need to place an order for it. You can order it for free if you have funded more than $25,000 into your account over the past 12 months. If this is not the case then the card will cost you a $10 activation fee. You will be charged a $1 fee on all of the transactions with the card (PoS and ATM). There is also a 3% foreign currency conversion charge on non CAD transactions. It is important to point out that these fees are on top of the 1% withdrawal fee. Customer support is often quite a crucial factor for many traders. It was not so long ago in the 2017 bull run that people had to experience days long tickets on some of the largest cryptocurrency exchanges. Bitvo says that they have 24/7/365 customer service desks. This can be reached through email at support@bitvo.com, through an online chat function or through a direct phone line on (1 833-862-4886). It is quite encouraging to see that they have a phone number for their support function. This is not something that many other exchanges offer and it has only just been implemented in some of the larger exchanges such as Coinbase and Bitstamp. Of course, if you would prefer not to speak to anyone then you could always use their fairly comprehensive FAQ section on their support page. This is probably your quickest resource if your question is more routine in nature. Given that Bitvo is still a new exchange, we can’t make a judgement of how long support queries could take. However, if Bitvo is to meet their same day guarantees then it is likely that they will have the adequate support function in place. This is a fairly comprehensive list and they have more listings than we have seen on other Canadian exchanges. This includes most of the coins in the top 10 Market Cap. The only assets that are not included and are in the top 10 are Stellar Lumens (XLM) and Eos (EOS). Bitvo may include more cryptocurrency assets at a later stage but these will have to meet Bitvo’s exchange policies and requirements. They use third party service providers to screen any prospective coins to make sure that they meet these standards. If you have decided that you would like to give Bitvo a try then you need to head on over to their registration form and create an account. You will be presented with the below page requesting your email address and password. Once you have completed this step and agreed to their T&Cs you will be redirected to a longer form that asks for all of your personal details. In order to verify your account as quickly as possible it is essential that you give the correct information. Bitvo will use this information in conjunction with online credit databases to verify your identity. Providing your Canadian Social Insurance Number (SIN) is not required but could assist with verification should the other information not be enough. Given the sensitive nature of SIN numbers, we would suggest leaving this field blank and attempting the verify with your personal information. Should that not be enough then you can always manually verify afterward. Once you have submitted the required information, they will send an email with a verification link. Bitvo will let you know whether your identity verification has been successful and whether additional documents are required. While there may be some traders who prefer to use anonymous accounts, Bitvo cannot provide this due to their internal Anti-Money-Laundering (AML) and Know Your Client (KYC) procedures. This is in fact a global trend and most large exchanges are required to conduct mandatory KYC and AML checks on their traders. The only large exchanges that still allow anonymous accounts are those based offshore like the Binance exchange and others. Once you have been verified on Bitvo you can fund your account. Perhaps the quickest way to get funds on the exchange would be through a cryptocurrency transaction. To initiate this you will need to hit the deposit button on the main screen. Here you will select the cryptocurrency option where you will be asked which coin you would like deposit. It will then generate the address and QR code used to fund your account. Once you have this address you can send funds to it from your personal or exchange wallet. Bitvo looks for 6 confirmations (Bitcoin) before they will credit your transaction to your crypto balance. You can observe the total confirmations through a block explorer like blockchain.com. If you want to withdraw your coins then you will complete the same steps as you did above. You will need to insert your deposit address in the form and Bitvo will process the transaction for you. If you would prefer to fund your account in fiat then you have quite a few alternatives. These include Interac, Wire and even cash at a post office. Below is some more information on their CAD fiat funding options. So, the quickest way for you to get CAD onto Bitvo would be through the use of Interac e-transfer. If you would prefer to use cash then you can head into a Canada Post and send them the funds from there. In terms of CAD withdrawals, you have the same alternative with the addtion of Electronic Funds Transfer (EFT) as well as your Bitvo cash card that we mentioned above. If you are going to be using Interac or ETF then you will be limited to $10,000 a day. With the card, you are limited to $1,000 a day and $2,500 a week. This is quite restrained but could be sufficient for those who use their card for more routine purchases rather than big ticket items. Something else that was unique with Bitvo was their banking integration. This allows you to automatically link up your bank account with the exchange straight from the online dashboard. This makes the payments process that much more efficient and reduces the risk of incomplete information leading to payment errors. Currently, they have this integration available with over 16 Canadian banks. To date, Bitvo seems to be the only Canadian exchange which offers this functionality. It’s time to take a deeper look into the main trading platform powering the exchange. On first impressions, it seems like Bitvo has done quite a good job of designing a highly functional and technologically advanced platform. There are basically two trading interfaces that you can use. For those traders who merely want to quickly buy / sell cryptocurrency they can use the basic trading interface which is the default option. This has a basic order form on the left with a simple user interface. On the right of that you have a summary of the prices over your chosen time-frame. In this case your order will be executed immediately at the market price (net of fees). 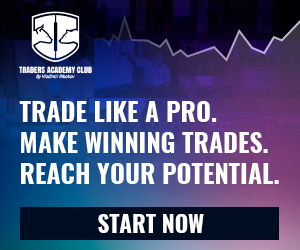 However, if you are a professional trader and would like access to more trading tools and charting functionality then you can choose to enter their advanced platform. This looks reminiscent of your typical cryptocurrency exchange. The Bitvo advanced platform has most of the functionality and tools that seasoned traders may want to use. For example, on the left they have an advanced charting module. This is actually a third-party charting package that is offered by Tradingview. Tradingview software is well known to most technical anlaysis traders. It has a compendium of charting tools and studies which can aid the analysis. Tradingview is also used as a third party plugin on a number of other cryptocurrency exchanges. Taking a look at the rest of the platform, below the chart you have a list of all of your open orders as well as those that have recently being completed. You have a more complete picture of the exchange order books on the right of the platform. Given that Bitvo is such a new exchange, these were really quite thin when we first looked at it. They do use external liquidity providers when volumes are higher or to facilitate larger over-the-counter trades. Something else that we were quite impressed with was the range of order options that you have at Bitvo. You have the default order form that is presented to you on the far right of the platform. Here you can place the more standard market, limit and stop orders. However, if you would like to place a more bespoke order then you can select the advanced order form. This gives you the functionality to place a number of other orders. For example, you can enter a stop limit as well as a range of trailing stop orders. The latter are actually quite unique and are not that common on cryptocurrency exchanges. They allow you to set a stop order that is a designated level away from the prevailing market rate. This will allow you to secure any profit that has already been generated from a winning position. These types of orders are more common on futures exchanges such as Bitmex et al. Something else that Bitvo has included that is unique is their AI powered technical analysis dashboard. This is basically a dashboard that gives an overview of the technical “score” of the various cryptocurrencies that are listed on their books. While other exchanges have technical analysis tools and charts, Bitvo has tried to present their traders with a simple to understand rating chart that could help inform their decision. This is powered by a number of advanced trading algorithms and is updated on a daily basis. You can also toggle between the relative strength of the different pairs or merely look at it in absolute terms. Below this you can select to view more technical indicators. This is basically a chart which you can add some technical studies on top off. Given that Bitvo has Tradingview charts on the live platform, we rather suggest this as it has much more functionality. When using the technical analysis dashboard, it goes without saying that it should not be followed blindly. It should only be used as a tool to help inform your trading decision. There are many times when an asset could appear interesting at a technical level but still be a bad trade. The Bitvo exchange is no doubt quite impressive for a new entrant. However, there are a few of things that we think they could improve on from a trader’s perspective. Firstly, their liquidity and order flow is really quite low. This could make it quite difficult for them to meet large block orders without there being a significant price impact. There is likely to be a great deal of order slippage. Of course, this is a catch 22 situation. All new exchanges have to start somewhere and they will inevitably start with less traders and hence liquidity than the more established exchanges. In order for them to get more liquidity they need more awareness for their product which comes from more traders. For the time being, if you want to place large block trades you will have to use their OTC desk which can handle orders of $100k or more. Something else that ties in with their new entrant status is their lack of operating reputation in the Canadian cryptocurrency community. With no track record to turn to one has to rely on the reputation of the team running the exchange. We were really quite surprised by Bitvo in this review. It seems as if the team has spent a great deal of time refining an exchange that addressed a number of key pain points for Canadian traders. Things like their same day guarantee, integrated banking solution and advanced trading platform are likely to be main differentiators for them. While there are some concerns that we had, these are both a factor of their new exchange status. As more traders become aware of the exchange, they may gravitate towards it thereby growing its order books. If Bitvo keeps true to their promises then their reputation in the community will follow suit. In summary, Bitvo appears to be a great alternative to a number of established Canadian exchanges. Provided that you are comfortable using a brand-new exchange, it is worth checking out. The post Bitvo Review: Complete Exchange Overview appeared first on Coin Bureau. Previous story Bitcoin Price Predictions – Where Are They Now?